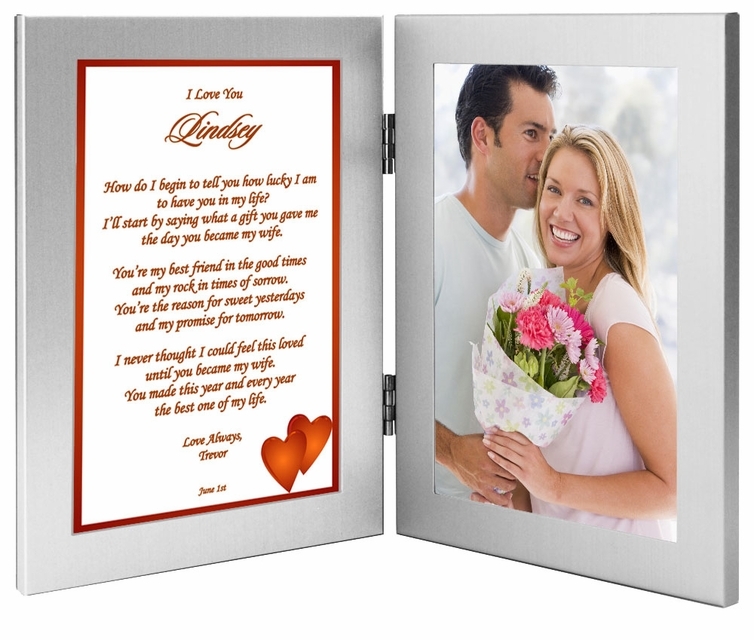 This EXCLUSIVE Personalized poetry heart design is a perfect gift for your wife. Special anniversary or birthday present. If you're looking for a wife gift that will let her know how much you care, look no further. 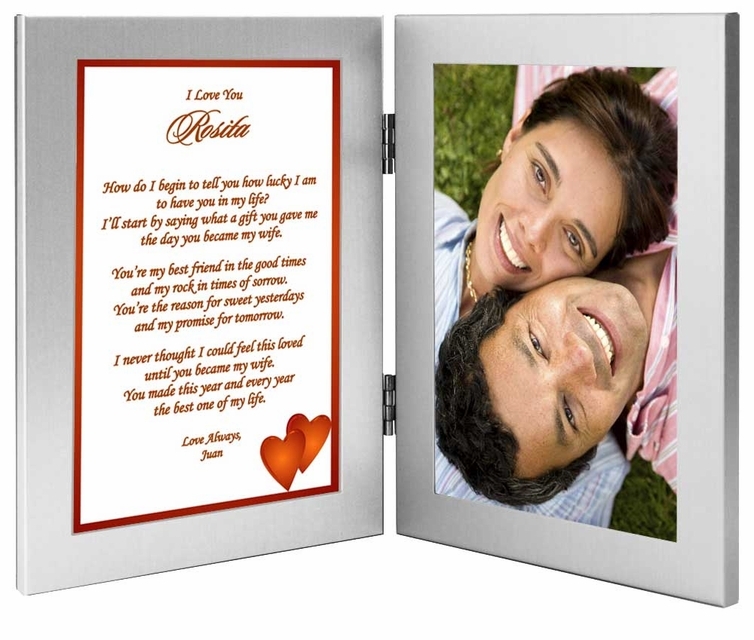 This double frame with personalized poem and an area for a 4x6 inch photo will look beautiful on a desk or dresser. This very special present will earn you a Big Hug! 2. Name(s) - Examples: Lindsey; Mary Ann; etc. 3. Closing Phrase & Your Name(s) as seen after poem - Examples: Love, Trevor; Love Always, William; etc.